When most people think about war, they think of camouflaged soldiers hunkering down in tanks or trenches, carrying and firing automatic shotguns. They think of grenades, shelling, explosions and heavy artillery. Images of desert landscapes, wide-eyed locals and tent cities usually crop up. What most people don’t think of are the thousands of animals that are ‘adopted’ by armed forces while they’re away from home. Providing comfort and familiarity, many stray dogs and cats (as well as several more unusual species) are rescued from war-torn parts and given reciprocal love and attention. Sometimes, like in the case of Sarbi (see below), the animal actually comes from the soldier’s home country and is trained to do an important role during war efforts. 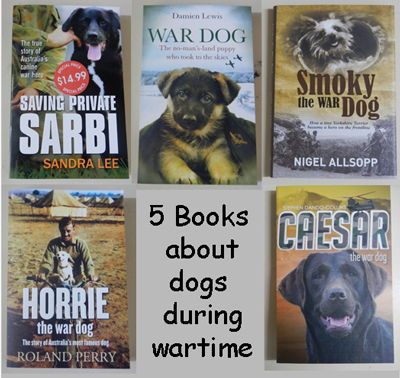 Below are a few books about war dogs that have been released over the last few years. All (besides one) are accounts of true stories, providing a different view of how soldiers operate in war when there are also canine friends involved. Otherwise known as EDD 436, Sarbi is a trained explosive detection dog with the Australian forces, and has toured Afghanistan along with her beloved trainer and handler Sergeant D (who is unnamed for security reasons). A black Labrador and Newfoundland cross, with a distinctive white fur slash down her chest, Sarbi first came to the attention of the Australian public when she was reunited with the army in 2008, after being declared Missing in Action (MIA) thirteen months earlier. Separated from Sergeant D during a dangerous combat mission between the SAS and the Taliban in Afghanistan, Sarbi managed to survive capture by a Taliban leader, harsh geographical seasons and the enemies’ weapons, which made this homecoming a particularly amazing one. Originally a family pet, Sarbi and her brother Rafi were ‘conscripted’ into the Australian Army when their human family had to move to the city for work reasons. Although heartbroken to say goodbye to their tennis ball-loving dogs, the Upjohn family were proud to know that their beloved pooches would be helping to protect Australians at home and abroad. Under Sergeant D’s tuition and guidance, Sarbi was able to learn all the attributes to becoming a vigilant and protective EDD for the Australian Army, and to this day, remains a beloved member of the team, helping to train a new ‘generation’ of dog handlers. 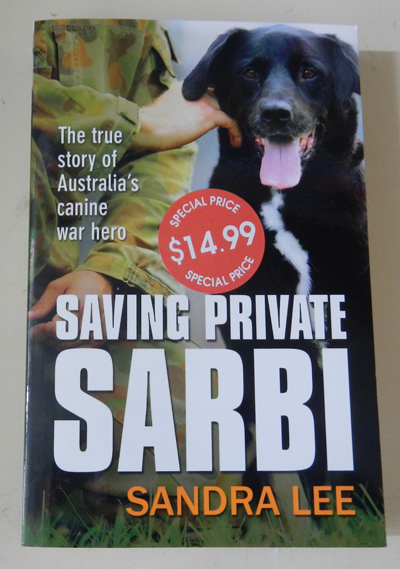 Most of the biographical war dog books that I have read were solely about the dog in question, but Sandra Lee’s book about the lovable Australian dog Sarbi covers a whole lot more. She references many other famous dogs that have served in the armed forces globally, and explains the processes that are taken to choose and train dogs for this service. She recounts a brief history of dogs in the Australian Army, and even delves into the psychology of human-dog interaction. 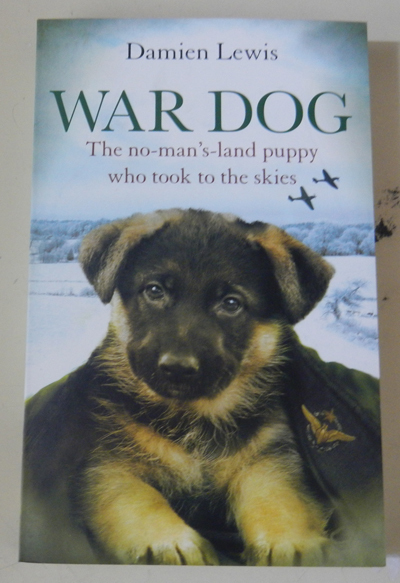 So while this book is about Sarbi, it also provides a lot more (well-researched) background information for anybody interested in the topic of war dogs. Wartime is usually difficult enough to cope with, even for the toughest veteran, but imagine if you weren’t even recognised by your own countrymen for having served? Despite being an ‘Australian’ dog, this was the case for Smoky, a tiny Yorkshire Terrier who is more well-known in America than her own country, and who has numerous memorials and statues dedicated to her to prove it. Found and rescued by a dog-hating soldier in Papua New Guinea during World War II, she was given to a sergeant, who in turn sold her to another soldier, Bill Wynne, for two Australian pounds (in order to buy back into a poker game). 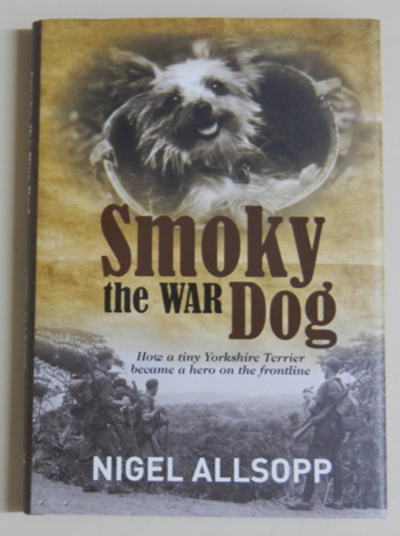 So began a loving relationship between the pair, with Smoky soon becoming a mascot for the American soldier’s base. Wynne taught her how to do tricks and she soon won the hearts of everyone who met her, performing in impromptu shows. When Wynne was struck down with dengue fever, and had to be hospitalised, he asked that the dog be brought in so he could see her. Smoky soon began making rounds of the wards, cheering up incapacitated soldiers, and, in the process, becoming the first known therapy dog. After Wynne’s recovery, he visited Australia while on leave, smuggling Smoky into the country. Some Red Cross nurses, who had heard of her popularity, took her to visit soldiers in the Brisbane hospital who were sick and wounded. In the years following this, she appeared as a performer in a children’s television show and continued to act as a therapy dog and mascot for the soldiers. As mentioned earlier, Smoky was quite popular in America, yet she was virtually unheard of in her home country (it was later found out that she was born in Brisbane and lost in Papua New Guinea by her owners, a US military couple). When the author of this book, Nigel Allsopp heard her story, he decided to pursue matters and get her recognised for her war work. As a result, a memorial has been set up in her honour on the grounds of the Royal Brisbane and Women’s Hospital, on the original site where she provided support to soldiers so many years before. She was also awarded a War Dog Operational Medal from the Australian Defence Force Trackers and War Dog Association for her work as a therapy dog. It took many decades, but Smoky has finally been recognised by the Australian military for her contributions to the Second World War. The author of this book is a historian, former military dog handler, and a currently serving dog handler for the Queensland Police. He holds an active interest in seeing memorials established for animals that have served in wars, as he believes that they are forgotten heroes who deserve just as much recognition for their actions as their human counterparts. This book allows readers to learn about Smoky, her actions throughout the war, and the subsequent recognition that she has received since her death in 1957. This book is different to others in the genre, in that the entire book is about Horrie’s exploits during the war. No other war dogs (except the ones central to the story) are mentioned, and neither is the history of animals within the armed forces. The book reads more like a novel than a historical non-fiction account, with ‘dramatisations and re-creations based on information’ from a variety of primary and secondary sources. Perry’s method of writing ensures that the book is not dense with information- plenty of important dates and statistics are mentioned, but they are interspersed within the story only when necessary. This makes the book extremely easy to read for people delving into historical or military-based books for the first time. 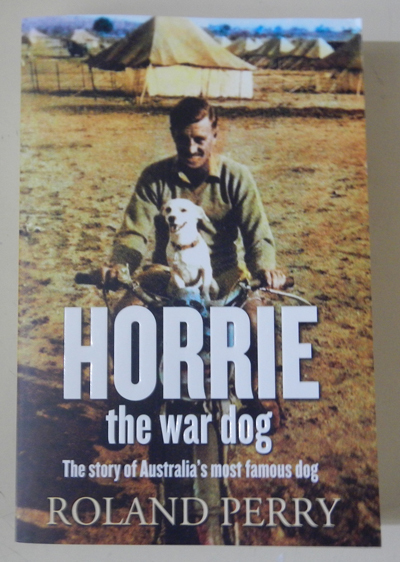 Horrie’s tale is the central theme- and if you haven’t before heard his story, you will be amazed and delighted at the courage that this little Egyptian Terrier exhibited to protect the men who saved him. When Damien Lewis first heard this amazing story of Airman Robert Bozdech and his German Shepherd Antis, he was astounded that the story wasn’t more widely known about. So began his preoccupation with tracking down Bozdech’s family and writing a book about the unwavering loyalty and friendship between the pair. With notes, a manuscript written by Robert himself, diary entries and newspaper articles, Lewis was able to piece together the story of the Czech national, who flew for the French and British Air Forces against the Germans in World War II. Shot down and injured during a mission over no-man’s land (a section of land between the German and French battlelines), Robert Bozdech and his fellow airman Pierre were forced to seek shelter in an abandoned farmhouse. It was there that Robert came across a tiny German Shepherd puppy, all alone and on the brink of death, despite having a strong fighting spirit. Unable to leave the little creature behind, he tucked the puppy into his flying jacket and managed to escape back to the safety of the French armed forces. Over the next few months, Robert and his new companion (who he named Ant) became inseparable- saving each other’s lives countless times, and forming a close bond. Adored by Robert and his friends, Ant became the unofficial squadron mascot for the Czech bombers, who proved their love for him by risking imprisonment and smuggling him into Britain (when serving in France became too dangerous). In the years that followed, Robert and Ant (who was renamed Antis following a miscommunication between Robert and a disgruntled British woman), faced plenty of challenges, many of which threatened to tear them apart. Together they dealt with bombings, crash-landings, the deaths of those close to them, and even episodes of drunkenness! Yet despite this, their loyalty to one another remained strong. After getting wounded by shrapnel, shot by an irate farmer and facing more trauma than most dogs do in their lifetime, Antis eventually stopped taking to the skies with his airman master, but continued to stand vigil by the airstrip, waiting for Robert’s return after each bombing mission. The end of World War II saw the pair become British war heroes, and return to Robert’s newly liberated home country. In recognition for his heroics, Antis was awarded the Dickin Medal, (the equivalent of the ‘Animal VC’) by the British Armed Forces. Lewis’ account of Robert and Antis’ tale is written in a narrative format- reading more like a novel than a true depiction of two extraordinary lives intertwined. Dog lovers will appreciate the bond that existed between the pair, and fans of wartime narratives will marvel at the lengths that each went to, to protect one another from harm. In a similar vein to Perry’s book (above), War Dog is extremely easy to read and is a worthy addition to your war dog book collection. When Corporal Ben Fulton visits the kennels, looking for the perfect canine to train up as an Explosive Detection Dog (EDD) for the Australian Army, he almost passes by Caesar, a brown Labrador with a very swollen and ugly-looking face. Having been stung on the nose by several bees as a reward for his curiosity, and well-known for his ball-chasing and hole-digging adventures, Ben nevertheless decides to give Caesar a chance, after inspecting the other dogs on offer and not finding them to his liking. Recently widowed, and with their previous dog Dodger having to be put down, Ben hopes that Caesar’s arrival will help cheer up his family. While the females in the family (his daughter Maddie and his mum, Nan Fulton) take an immediate liking to Caesar, Ben’s son Josh struggles to cope with the sudden change, preferring to play computer games with Charlie, Ben’s best mate (and a sergeant with the Australian SAS). After an intensive training program, which Ben and Caesar pass, the two are deployed to Afghanistan, where they locate explosive devices and help protect the Australian and allied forces as they work to reconstruct the war-torn country. Ben and Caesar look out for each other, and form an almost-brotherly bond as they fight against the Taliban. Charlie soon joins them, as he begins working on a secret operation in the Uruzgan Province. But then things go horribly wrong- during one particular mission, the Australians and Americans are ambushed by the Taliban, and many of the soldiers are injured. Caesar and Ben are separated, and the loveable dog disappears from the field, leaving Ben distraught. Ben and Charlie both leave Afghanistan to recover from the extensive wounds they received during the battle, but they never give up hope that Caesar will return. Josh, now concerned about Caesar, is determined to find out anything he can from the internet. Ben, Charlie and their friends send out messages to the forces still in Afghanistan, urging them to look out for the ‘soldier’ that was left behind. Will Caesar survive thirteen months alone in the harsh conditions of a foreign country? Will Ben and his family ever see their beloved pooch again? 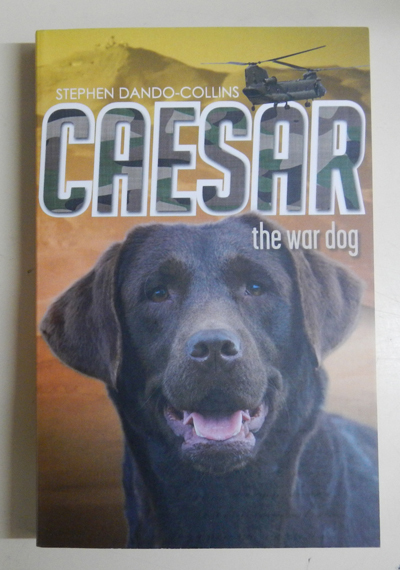 If you are familiar with the story of Sarbi the Australian Explosive Detection Dog, or have read Sandra Lee’s non-fiction book about her (mentioned above), then you are sure to recognise her character in Dando-Collins’ novel Caesar The War Dog. This is essentially a novelisation of Sarbi’s story, with names and some details changed, written for a younger audience. The dog’s training, relationship with handler, Afghanistan service, subsequent disappearance and reappearance are all reminiscent of Sarbi’s journey in 2012, but the author has also included aspects from the lives of two other real war dogs, Cairo and Endal (all three of which he dedicates his book to). Claiming his book as a work of fiction, he has created a backstory to Caesar’s adventures in Afghanistan, whereas Sarbi’s were only partially known about. At the end of the novel, Dando-Collins has also included a glossary of military terms (that are mentioned throughout the book) and added a short fact file about various topics that are mentioned, including a history of the real dogs Caesar is based on, the Australian military involvement in Afghanistan, the SAS, the Taliban and EDDs in general. This novel is both informative and full of war action- young animal-loving boys are sure to love it.